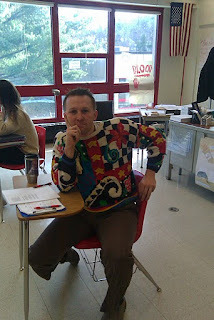 Burlington High School Principal's Blog: Third Annual Ugly Sweater Day Tomorrow! Let's See What You Got! Third Annual Ugly Sweater Day Tomorrow! Let's See What You Got! 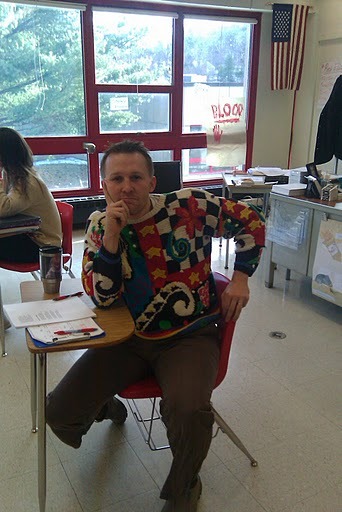 Mr. Lally with his noteworthy sweater from a past Ugly Sweater Day. We will hold our third annual Ugly Sweater Day tomorrow at BHS. This event has grown in popularity over the last couple of years as staff and students have searched for the ugliest sweater that they can find. So join in the fun tomorrow and wear something ugly!